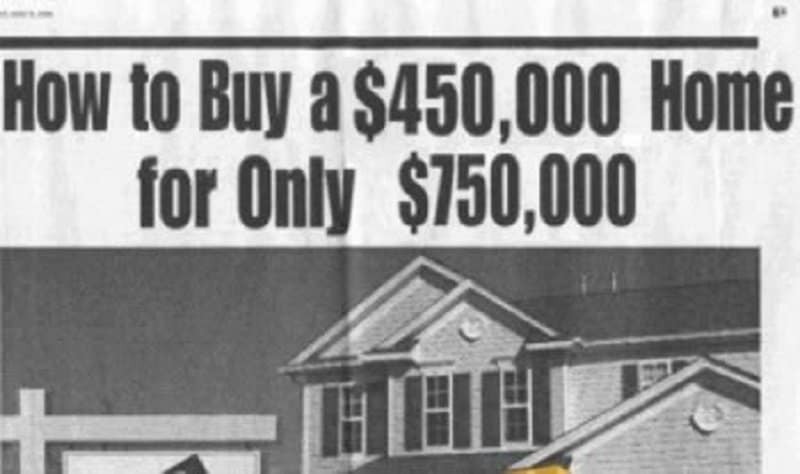 Real estate is a tricky business. The market is expanding and contracting almost simultaneously, and buying or selling a house has become an extremely difficult business. There are tons of real estate agencies out there that are doing their best to push for a sale and close the deal. 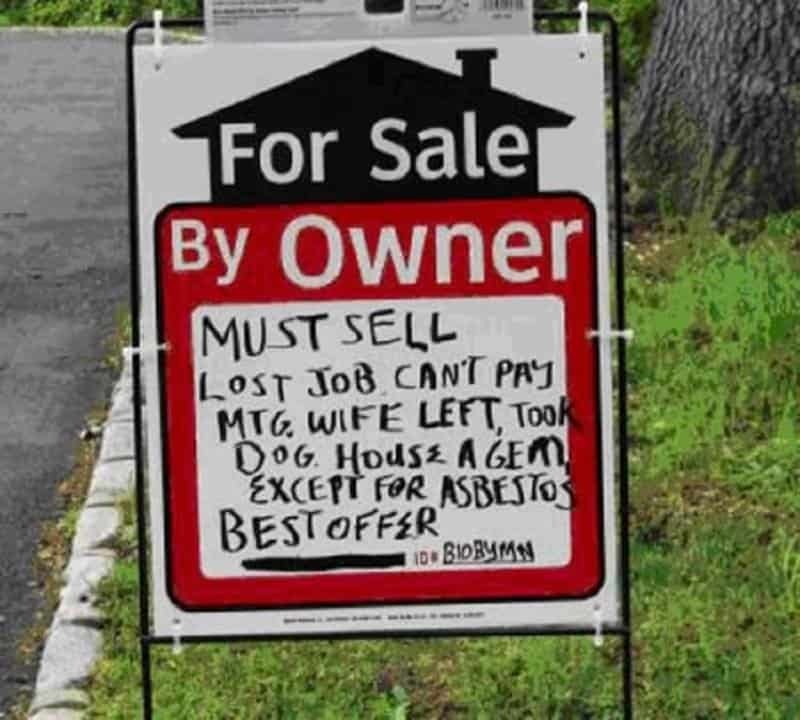 They resort to all sorts of tactics, from open houses to slashing prices, but real estate signs are pretty much a constant. 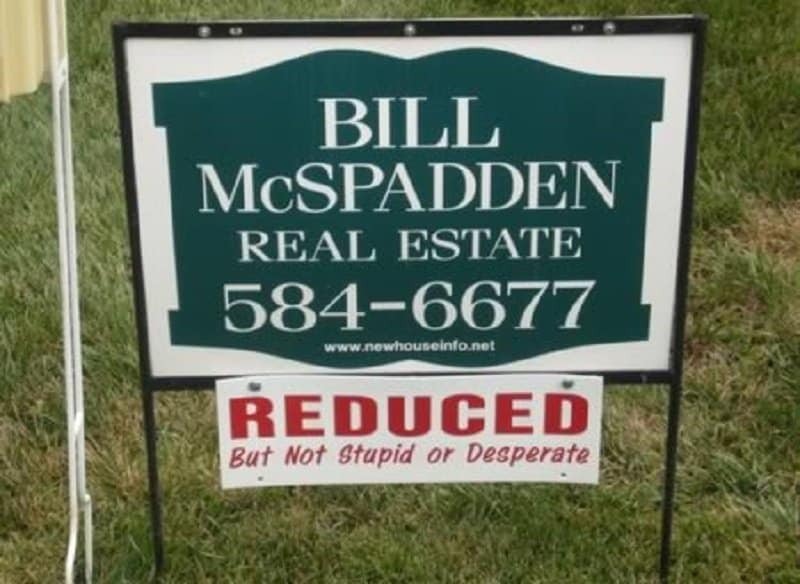 Here is a list of 10 real estate signs that are extremely funny and can grab anyone’s attention. When you are looking to buy a house, it is best to check the wiring and plumbing first. 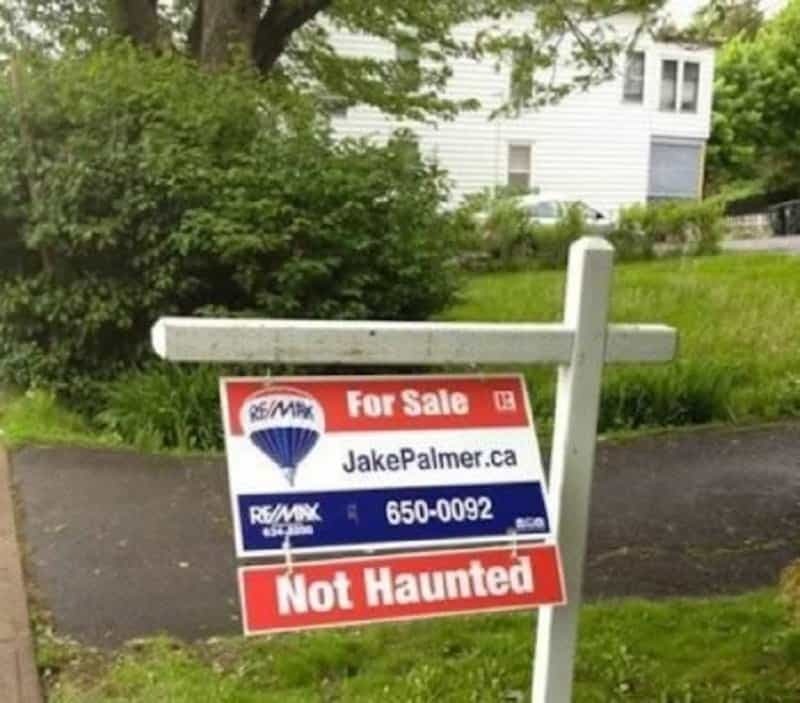 It is also good to verify if it is haunted or not. This realtor wants you to know that she he is willing to cut the prices, but not too much, at least not a stupid or desperate amount. 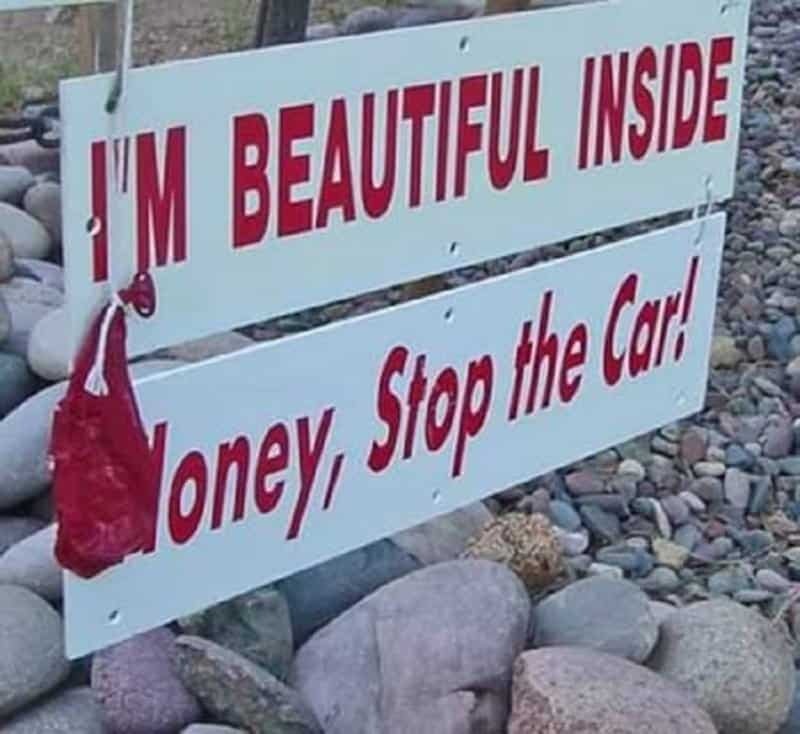 This sign is targeted at a very niche market, one that is comprised of people who can appreciate inner beauty. This seller decided to list out all his life’s problems just so that he can be crystal clear about the reasons he is selling the house. You are always on the lookout for something just a little bit more than the ordinary when you are buying your dream home. 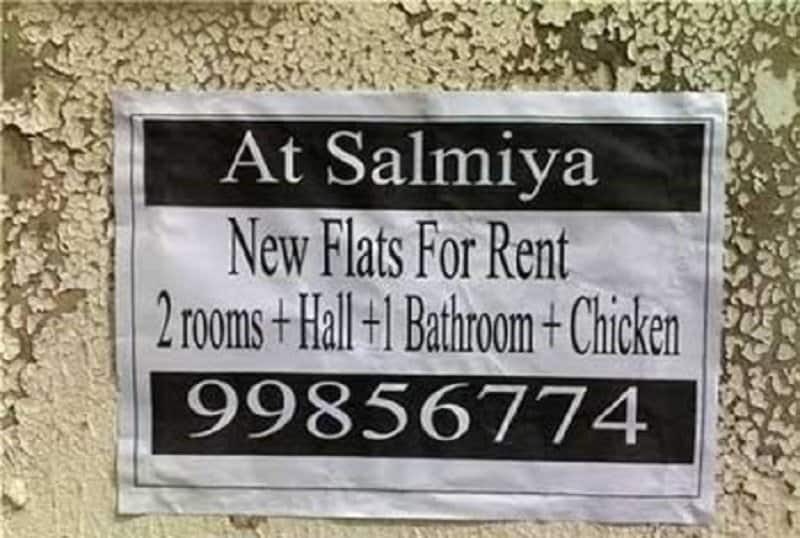 If one comes with a chicken instead of a kitchen, you just close your eyes and take it. Having bad neighbors can be a horrible problem when you are a home owner. At least this seller decided to be upfront about what you can expect if you buy this home. We have all heard of people buying a house for nearly half the original cost. Do you want to buy one for twice the original cost? 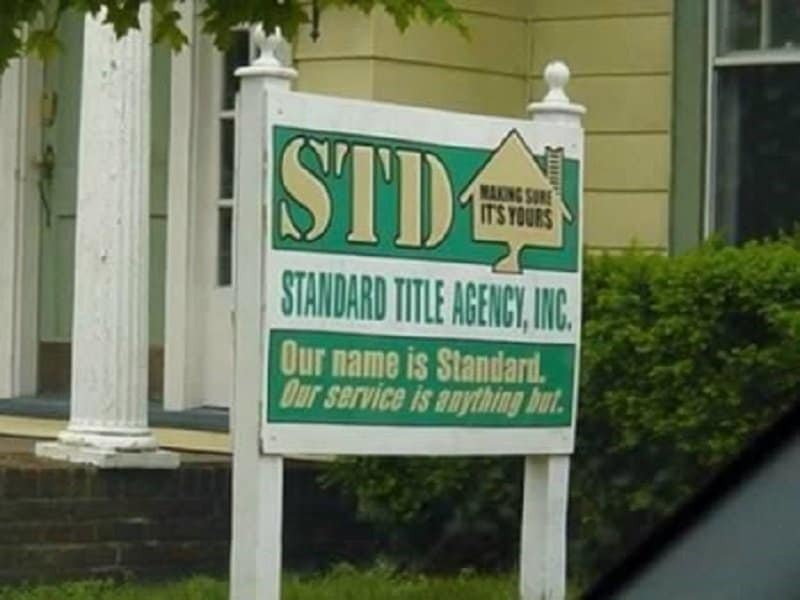 This real estate agency thinks that the word standard can be a bit off-putting. Someone should tell them about the full form of the abbreviation STD. 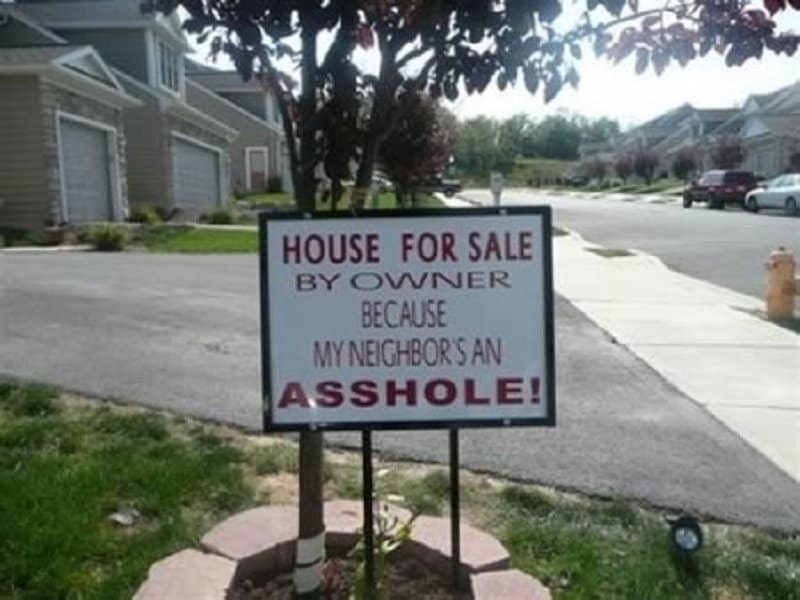 Having real estate signs in the open can leave it susceptible to vandalism. 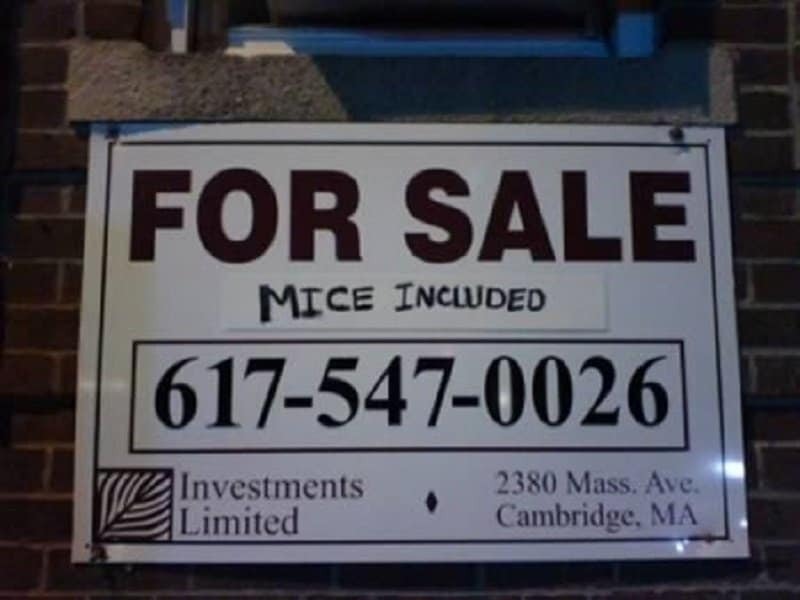 Including mice in the listing is probably the kindest act of vandalism in the world. Sometimes you don’t want to sell your home, but fate ends up having other plans. 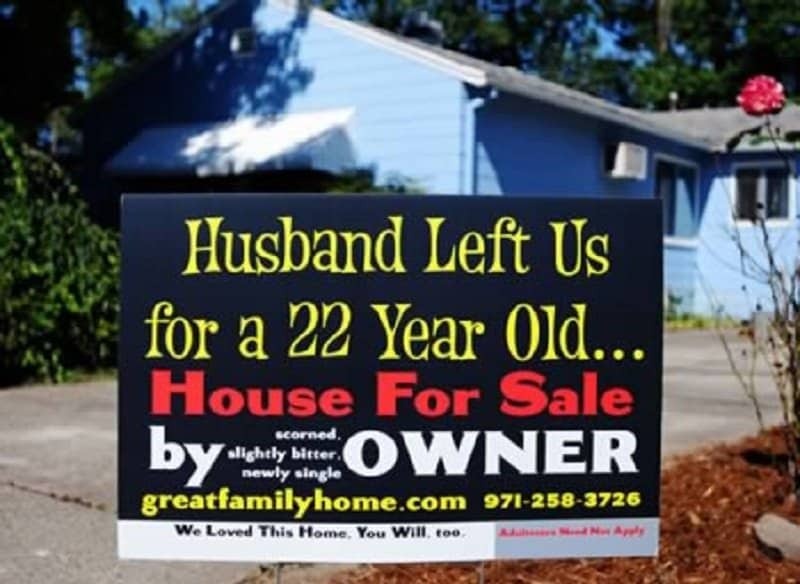 This wife decided to make sure everyone was up-to-date on the reasons behind her selling the family home. It wasn’t financial problems, it was a 22-year-old.